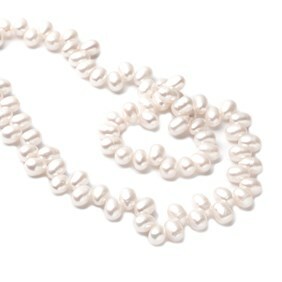 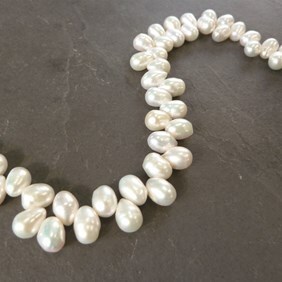 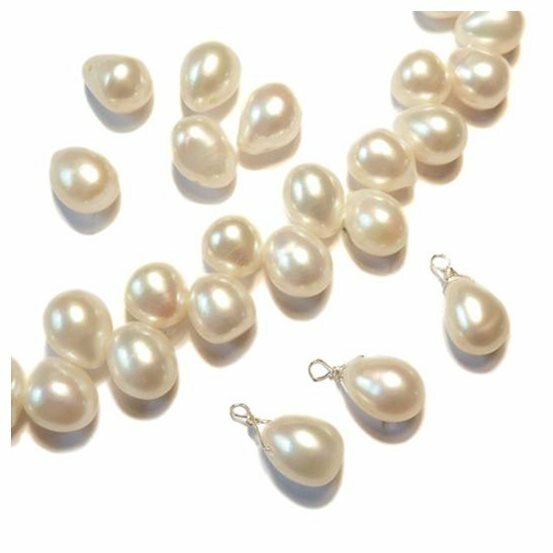 These beautiful teardrop shape cultured freshwater pearls are AAA grade; very good quality and high in lustre brilliance giving these pearls their exquisite beauty making perfect for wedding jewellery. 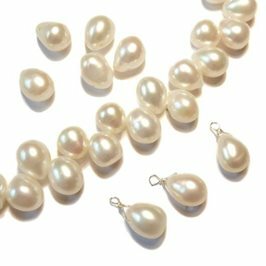 They measure approximately 10x7mm and are head drilled across the point (side to side), so are great for necklaces and bracelets. 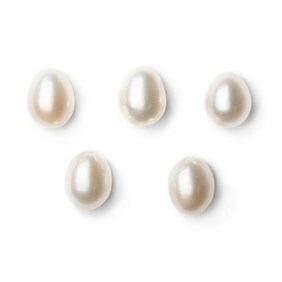 How about using our top drilled 9mm drop shape pearls (G90) for a matching pair of earrings? 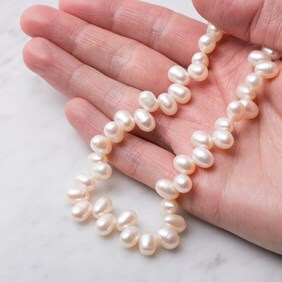 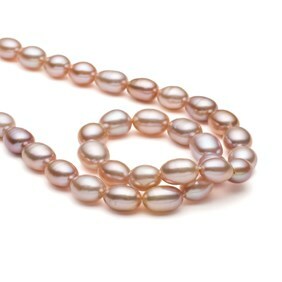 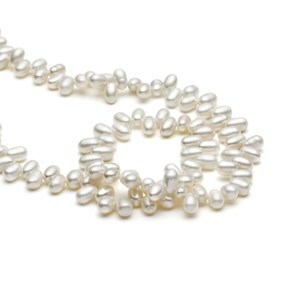 Due to the nature of pearls, shapes and sizes will vary slightly. 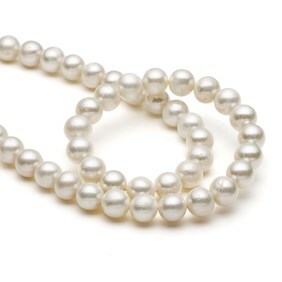 A 40cm strand contains approximately 80 beads.